I had someone suggest to me that they would love to see a "best of 2014" type post regarding my favorite indie products of the year. I thought it was such a great idea, I wanted to see what I could come up with. I didn't decide on a number of products I wanted the list to be, I just tried to pick at least one product from every category (eyes, lips, cheeks, hair, bath and body, perfume, etc). This includes everything that I absolutely love, would recommend to anyone who is even remotely interested in indies, and could not stop using throughout this year. Many of these were recent favorites, but I can see them being favorites all through 2015 as well. Obviously, there are a ton of indie products, and I have not tried them all. You should see my list of products I have that I haven't reviewed yet. So, this list is only things I have used on a regular basis, and absolutely loved. Shall we get started? The first favorite isn't for me, but instead for B. I got all three Bath Sabbath beard oil scents for B for Christmas, as well as some other beard oils from another brand to compare and contrast (official reviews coming soon!) and these were by far my favorite. I loved how complex the scents were, how long they lasted, and B liked how much I liked them. B doesn't even have that much of a beard, he has a goatee that he keeps trimmed down to about 1/4 inch, but it gets dry and scratchy for him. I got him beard oils on a whim once to see if it helped, and it did, so he kept using them. Most of the others he's tried, the scent doesn't last long, and doesn't get projected much. 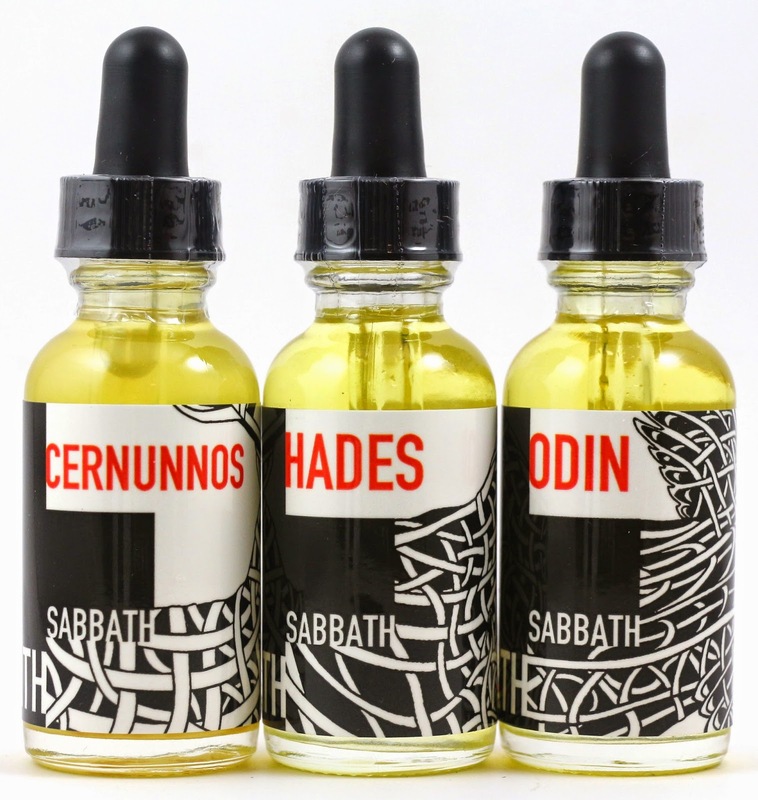 The Bath Sabbath beard oils have amazing scents, they lasted pretty much all day, and you could smell it just standing next to him. Not too strong by any means, but just very pleasant. I wanted to get closer to see what smelled so good. If I had to pick, I'd say Odin was my favorite scent of the three they have to choose from. Availability - Bath Sabbath reopens tomorrow, and the beard oils are available year round. As much as I like hair oils and other hair products from indie companies, I always return back to my detangler sprays. And the Black Violet Detangler Mist is now my go-to hair product to use right after washing my hair. I have the Cocoa Bean and Patisserie scents, and they smell amazing! Just a couple spritzes of this in my hair after washing it and towel drying a bit, and I can comb through my hair like butter. Availability - Black Violet reopens January 1st. The detangler mist should be available then. I think this is the one perfume I would pick if I could only wear one forever. This scent smells like horchata with my skin chemistry, and it's the one scent I want in a mini and a full size, just so I can bring it everywhere I go. Going somewhere nice, forgot to put on perfume, but have this in my purse? Perfect, I can slap it on, and smell sophisticated, and lady like. Obviously, perfume is all personal taste, and this won't be for everyone. However, I would say if you're looking to try something for the first time from Black Violet, it's hard to go wrong with Paper Dolls. 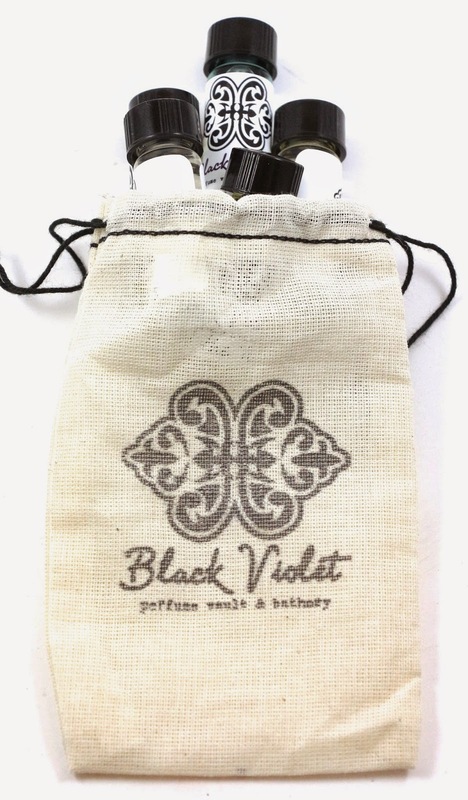 Availability - Black Violet reopens January 1st. This perfume should be available then. I tried to pick just one product, but I can't. Darling Clandestine quickly became my favorite indie perfumery this year, so much so that I've started just buying everything. Full size perfume that's supposed to have notes of wine, blood, and concrete? Great, get into the cart, I want to smell like that. Almost everything works really well with my skin chemistry and all of the perfumes have a way of smelling fancy, but also a little weird. Beware though, this is probably the deepest rabbit hole for indie perfume, so you have to be ready if you want to delve into these scents. Most of the catalog is seasonal, with limited quantities in various forms. There's not really a set product size, one scent can come in a 1 dram vial, a solid perfume, a body balm, a 7.5ml vial, a 1/2 oz amber bottle, or a 1/2 dram vial. It's all up to Evonne, but trust me, she knows what she's doing. I will probably continue to just buy everything I possibly can, because I know I'll love it. If you're hesitant to try it, just pick something in a small bitsy form first to get started. Availability - Darling Clandestine is currently closed, but reopens in early January. Products in various scents and forms will be available then. Before I got into indies, I wore the heck out of my mainstream neutral palettes. 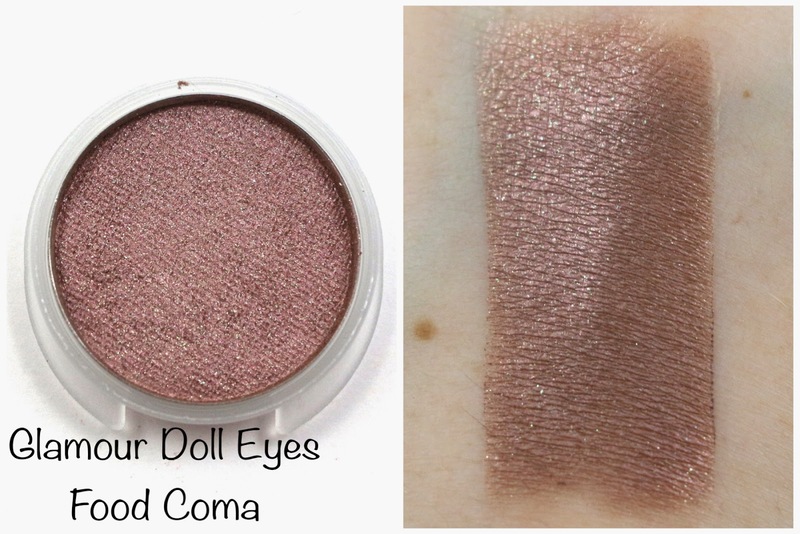 The Glamour Doll Eyes Food Coma pressed shadow from November's OTM totally brings me back to those days. It's saved me countless times when I'm rushing to get out the door, or I don't have my brushes with me. It looks great without primer too, and the green sparkles really show up on the lid. I also love the convenient clamshell case it comes in. 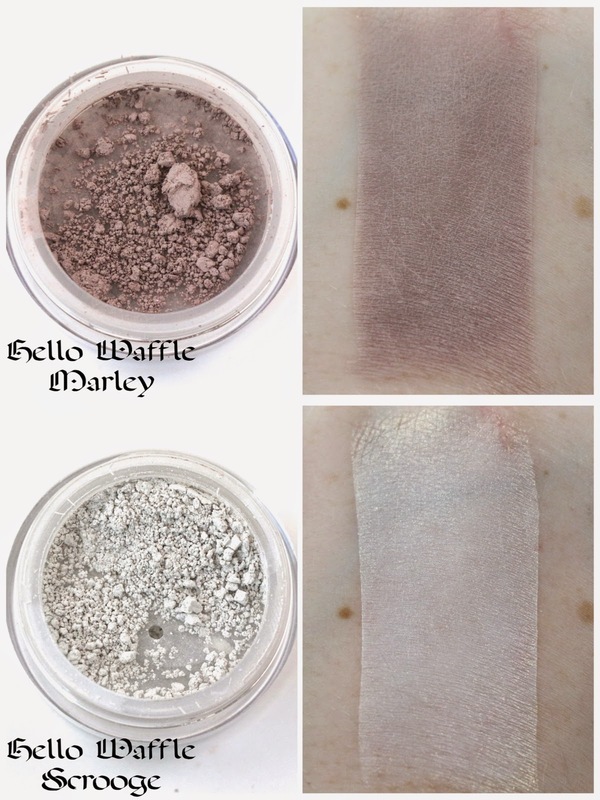 Pressed shadows are supposed to be new for Glamour Doll Eyes, coming soon, and I just love the formula. Basically, this shadow is everything I want in a convenient, time saving, all over look, and flattering neutral eyeshadow. Availability - This shade was exclusive to the OTM. However, Glamour Doll Eyes pressed shadows should be making their debut soon. 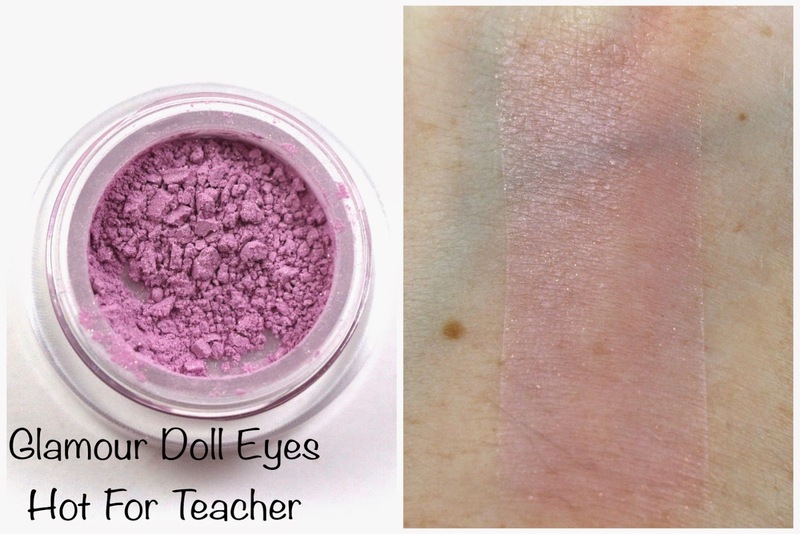 I have had to cut back on my use of indie blushes recently, but this shade from Glamour Doll Eyes is my favorite so far. It's not quite pink, it's not quite purple, it's not too glittery, it has a nice sheen to it to make your cheeks look like they're glowing, and I just love the effect it gives. Availability - This blush shade is permanent and can be purchased here. This is the new kind of product I discovered this year, that I didn't know I needed until I tried it. 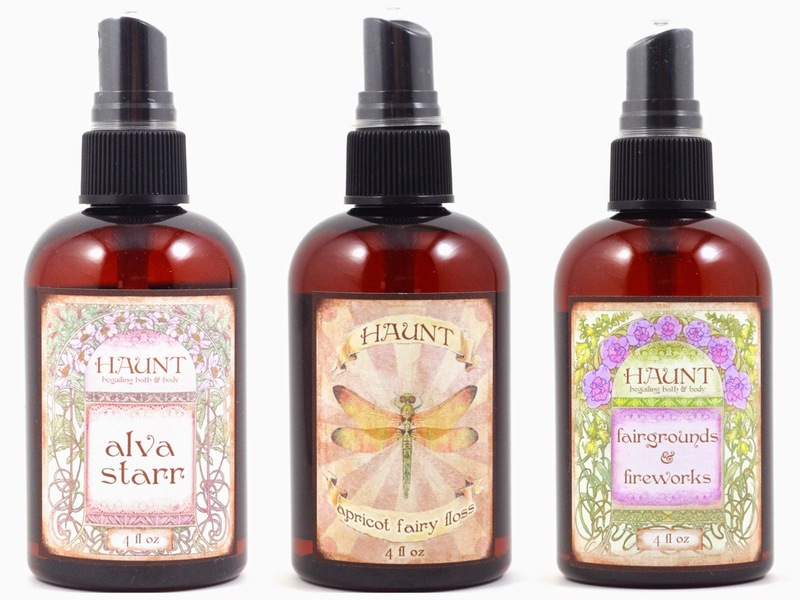 The Skin Glossing Oils from Haunt Beguiling are oils in spray form that can be applied to the skin fresh out of the shower. 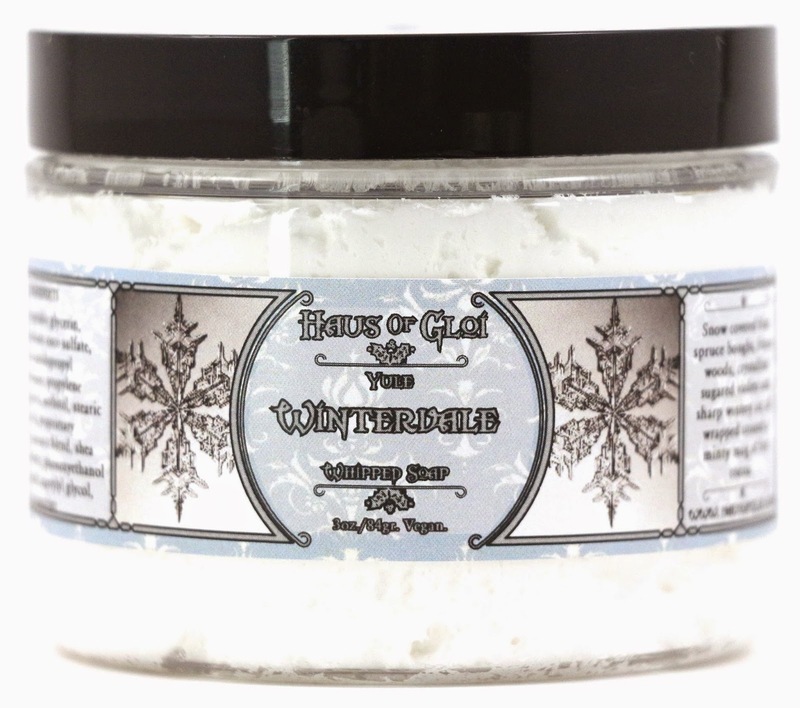 I like using them especially on my legs after I've shaved them, and the scents are divine. These are the best summery fruit scents you'll probably ever smell, and the most authentic. The scent lasts all day, and even through pants, I can still get wafts of fruity goodness. Availability - Haunt Beguiling products are very limited. Check the Facebook page to stay up to date on when the next ones will be released. 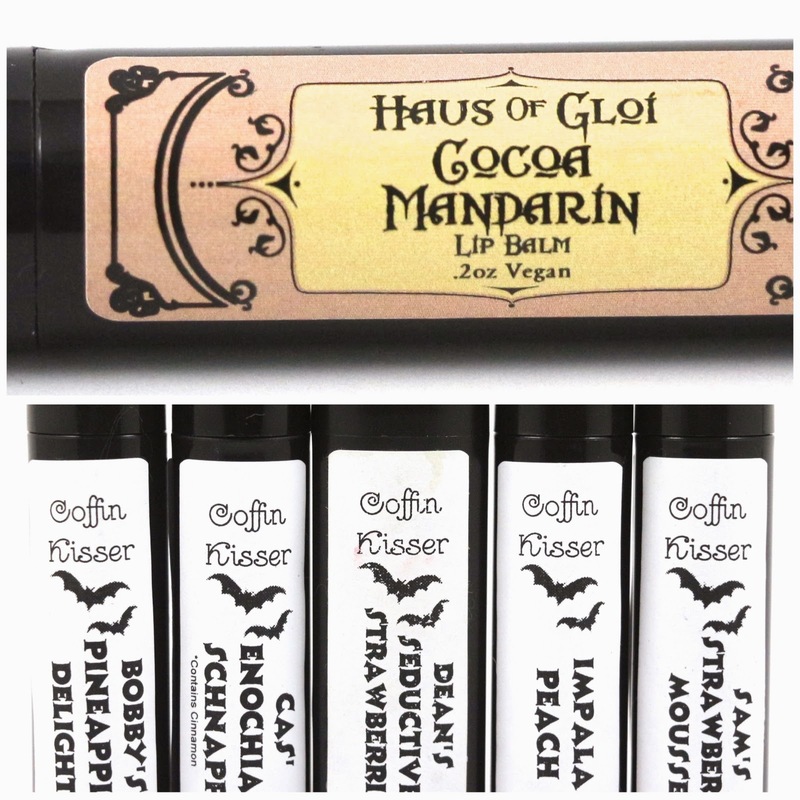 These are my two favorite brands for indie lip balms, if I had to pick, I'd say currently Haus of Gloi's Cocoa Mandarin is currently my HG lip balm. But I keep a ton of each brand's lip balms stashed all over the house, in my bag, and on every side table. 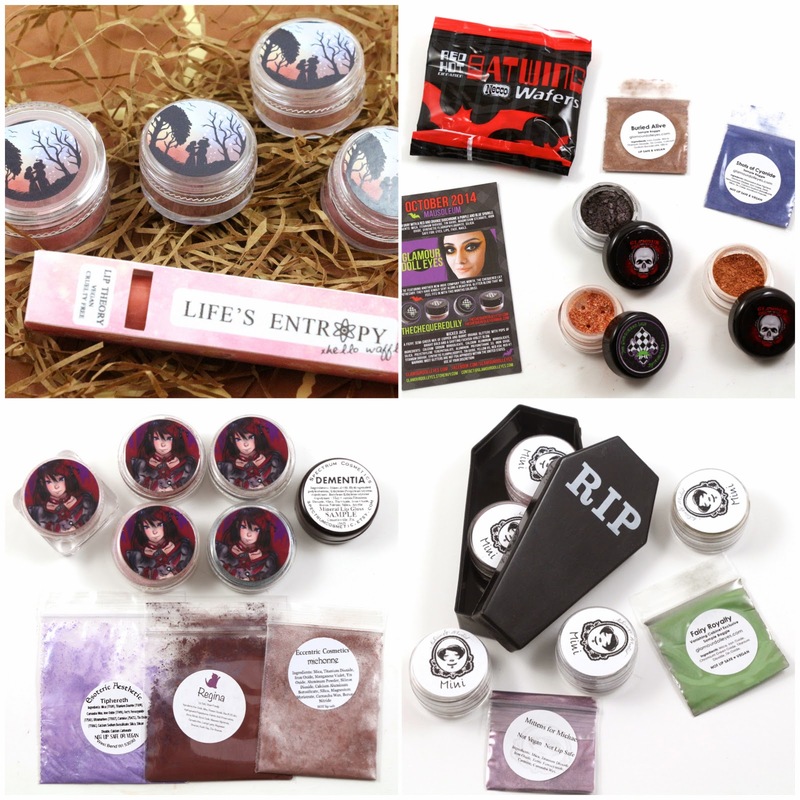 Availability - Haus of Gloi's lip balms can be found here, and Notoriously Morbid's Coffin Kissers are currently out of stock. If you've never heard of a bubbling scrub, they are a cross between a scrub and whipped soap. They bubble, but also scrub, which makes them great for travel if you want an all in one product. They're my favorite scrubs I've tried so far, and that mini jar of Pumpkin Queen in the photo is one of the few indie products I've completely used up. I actually ordered another that I've yet to open up. They're easy to use in the shower with just your hands, but I think they would also work well with a loofah. Availability - The permanent line scents in bubbling scrubs can be found here. Otherwise, the seasonal scents occasionally offer the bubbling scrubs as well. Whipped soap is a new kind of product for me this year, and I'm obsessed. I don't want to go back to anything else. 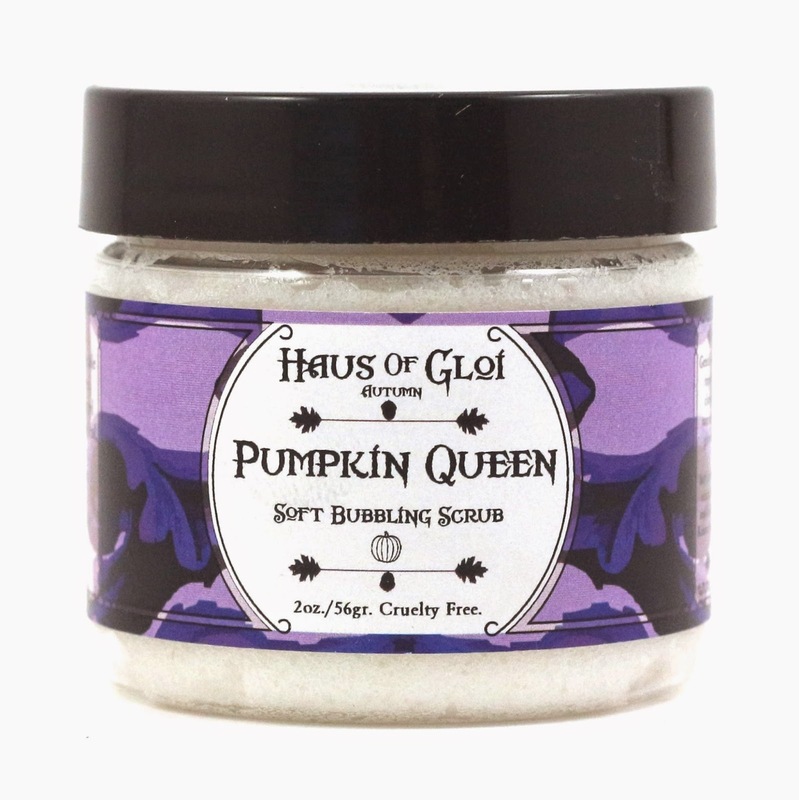 And by far my favorite brand's whipped soap is Haus of Gloi. It's one of the only brands I've found, where the scent lingers on the skin even after showering. And the product leaves my skin moisturized, and not dry at all. 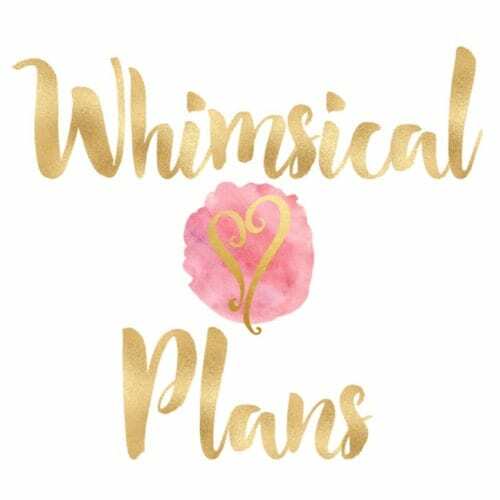 Availability - The whipped soaps are only available in seasonal scents, so they can and do sell out frequently. These are pretty recent favorites, but I've been using them all the time now. Whenever I do my makeup, I can now say I highlight and contour! And it looks so pretty! I will probably buy back ups of these when they go up on the store on January 15th. For my fair skin, I barely need any of the contour, because the product itself can be pretty dark. And the highlight is very subtle, so you can easily only wear a little, or put on more for a very shimmery look. Availability - Marley and Scrooge were products from the December Visage, but will go up for sale on January 15th to January 31st. 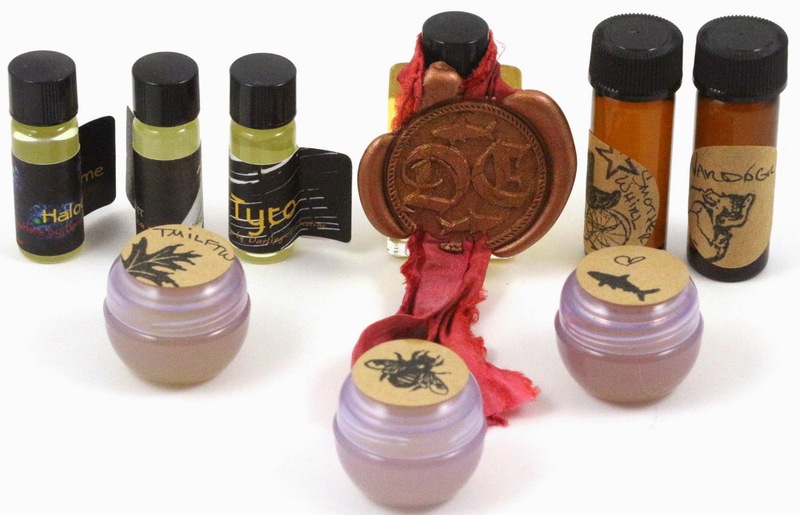 Aromaleigh Ephemera - ($18) Brand new, starts in January. 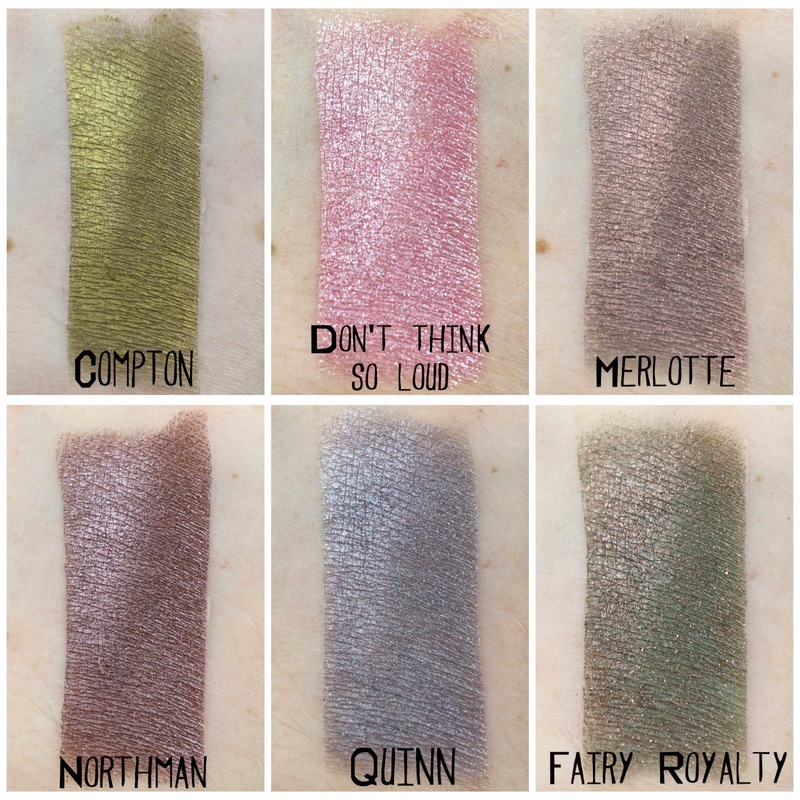 Glamour Doll Eyes OTM - ($8/month) At least one eyeshadow, plus extras each month. 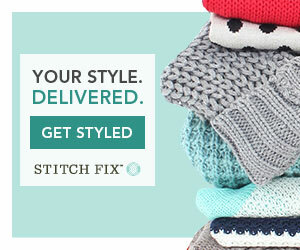 Products are mostly exclusive to the subscription. Hello Waffle Visage - ($25/month) Products for your whole face each month, and they are available to purchase on the 15th each month. Innocent+Twisted Alchemy - ($12 or $18/month) Option of samples or full size. 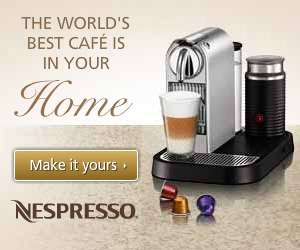 Lots of bonuses each month from other companies. Products are mostly exclusive to the subscription. Notoriously Morbid Vanishing Cabinet - ($12.90/month) Fandom themed each month with lots of extras. Products are mostly exclusive to the subscription. I love this shade. It was the exact dark berry red color I was looking for for the holiday season. It stains pretty well and mostly lasted through a greasy dim sum meal. It doesn't make my lips any drier than they already are, so that's a bonus. It applies really easily out of the jar, and only takes a few swipes to get it really pigmented. I'll probably be sporting this shade all the way through Valentine's Day at the very least. 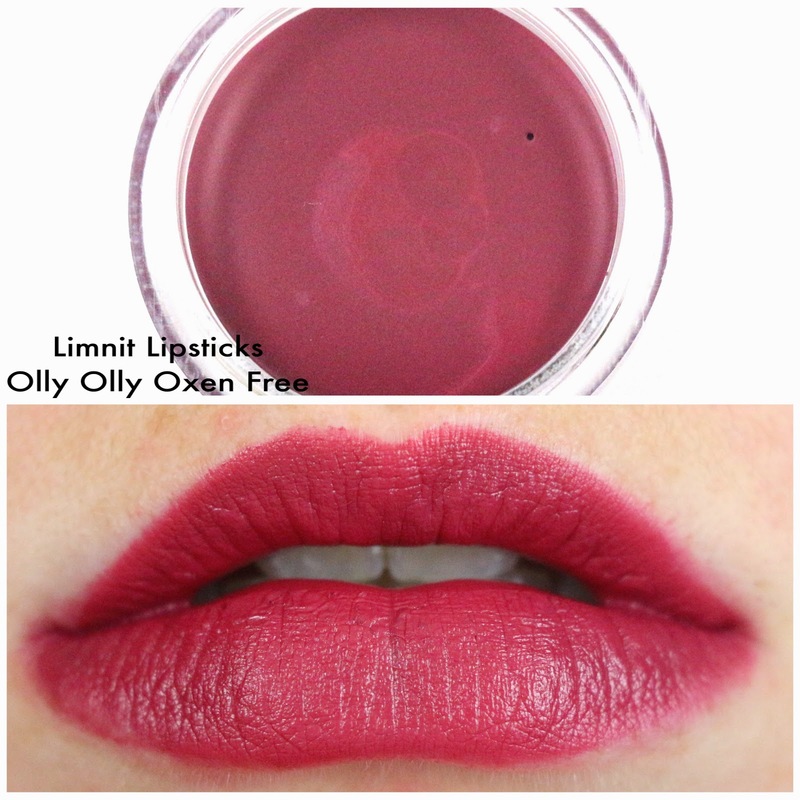 Availability - This is a permanent shade offered by Limnit Lipsticks, and can be found here in sample jar form. I loved all the shadows from November's Notoriously Morbid Vanishing Cabinet. I'm still wearing them, and I ordered back ups of three of the shades. These were available briefly for Notoriously Morbid's Black Friday sale, and I bought minis of Compton, Northman, and Quinn. They are great shadows for one shadow looks, or combined together, or combined with other shadows, they just go well with everything. I'm really hoping these were so popular they get made permanent shades, then I could get more backups! Availability - These shadows are no longer available for purchase. When I first got this, I thought the smell was nice, and then it sat there for a while untouched. Then I put it in the shower so I could finally test it, and I had mixed thoughts at first. I used it again, and now I love it. The shave cream does not have as much razor slip as your commercial shaving creams, but the scent in this one smells amazing. I shave my underarms, and I can still smell it like the shave cream is still there after I'm dressed. 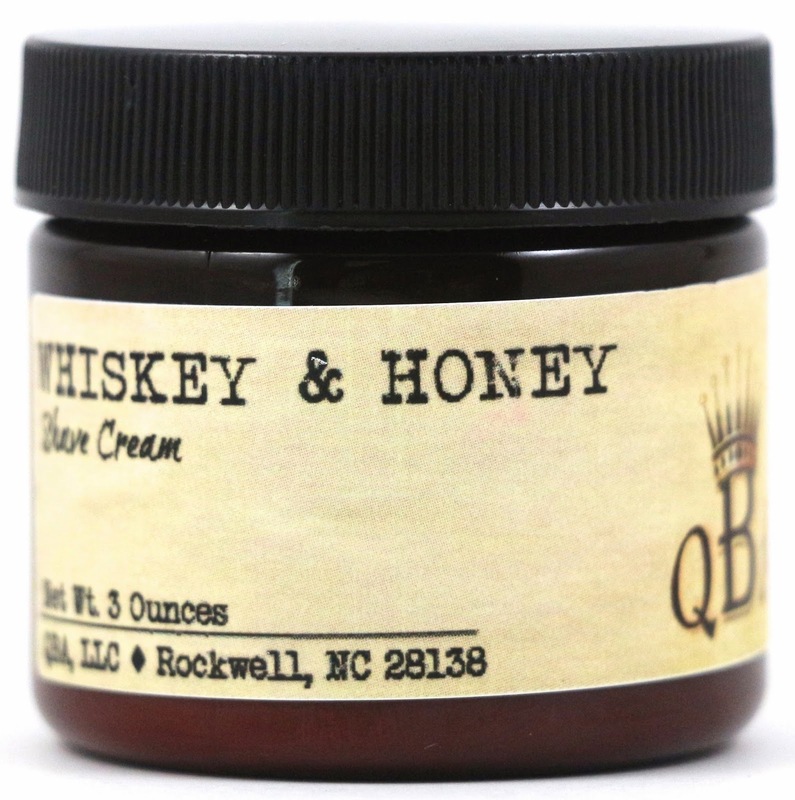 I usually skip deodorant because I want to keep smelling like whiskey & honey! I might even try the deodorant they carry in this scent because I love it so much. Availability - The shop is closed until January 10th and will have a reopening sale. This last bonus favorite is really something that has just made my life much easier when it comes to sorting review products. I don't have a clear or set in stone organization plan for the rest of my indies, so if I were to throw new collections and products in with everything before I review it, I might never find it again. So I made this organizer out of a leftover Memebox I had, and cut off the top, made it into dividers, and cut them so they would slide together. 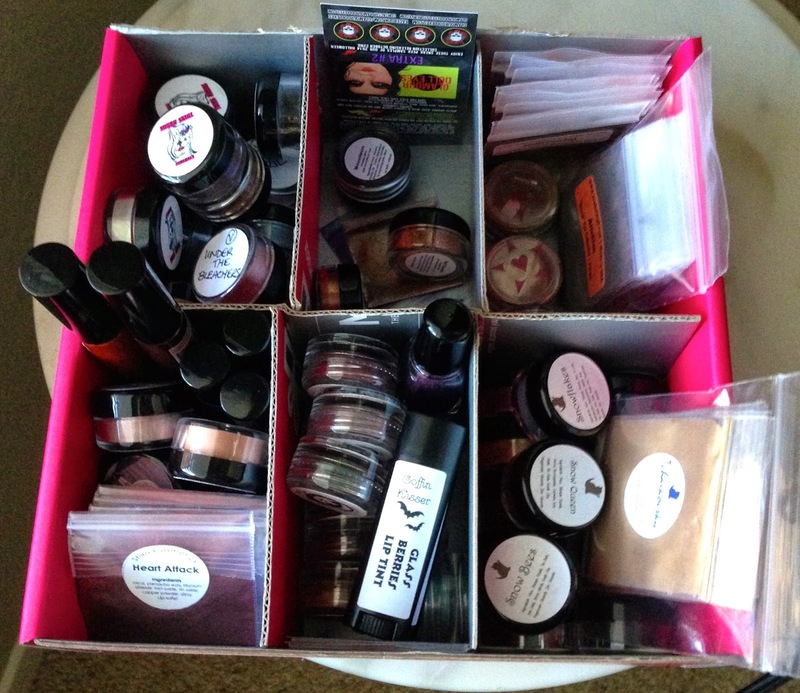 And each collection or group of products I plan on reviewing in one post goes into a section of the organizer, and there it stays until I can photograph the products and/or swatch it. The only unfortunate downside to this, is I don't get much chance to use them while they are sitting in here. Sometimes they'll sit for a while if it's a collection that's not urgent to post immediately, so I'm still trying to find a solution for that. But it works great, I get something in the mail that I'm going to review, I place it in the organizer, and then try to get something photographed before I fill the whole thing! This type of thing could be easily used by someone who likes to use their products from indie subscriptions in the month they are for. Just rotate out the products each month, and have a slot for each subscription you have, then swap them out when the next month's stuff arrives. 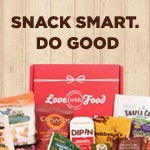 It doesn't even have to be products from a particular subscription, just regular orders, that way you get a chance to use them, and then swap them out for new products. What did you think of my Best of 2014 Indie Edition favorites? Did we share any favorites this year? What were your favorites of 2014? Let me know in the comments! Great list, can't wait to try some of these! I absolutely love indie products and found this best of list very interesting and helpful in discovering new products. I subscribe to some of the same subscriptions you do - GDE, Notoriously Morbid and Aromaleigh. I missed out on the Hello Waffle sub and I'm considering the Innocent & Twisted sub. I am a huge fan of Glamour Doll Eyes and have a fairly large (and growing....) collection of their products. I received my NM DeadLove collection just before Xmas but haven't had time to try the shadows out yet. 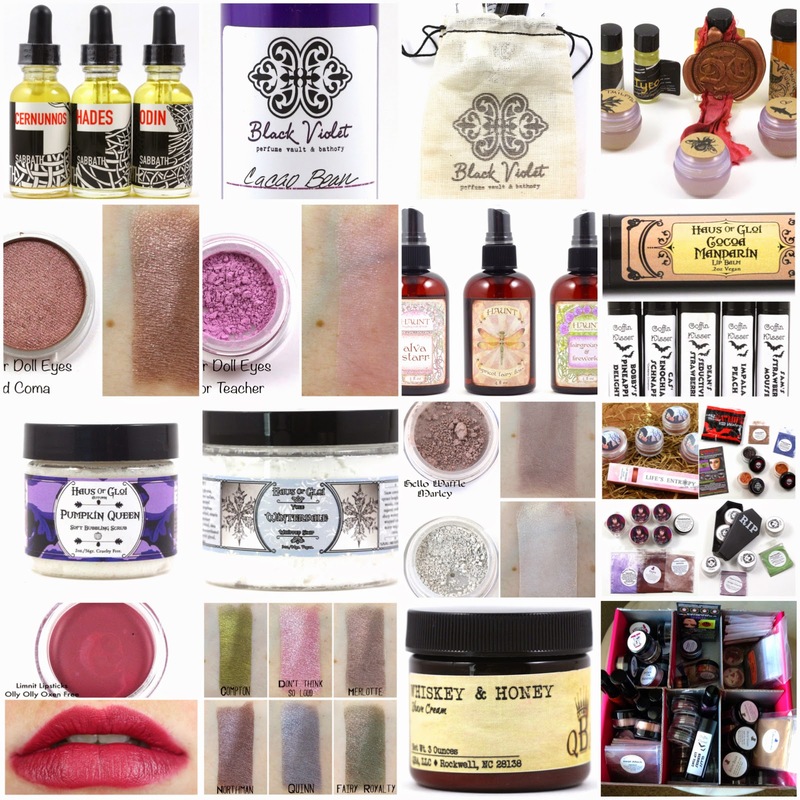 I will definitely be trying some Black Violet and Haus of Gloi products in 2015.